This is the story of a wonderful hoax… or is it? In July of 1969, men first walked on the moon, courtesy of the landmark mission called Apollo 11. Later that same year, Apollo 12 repeated the feat. Apollo 13 famously aborted its moon landing in 1970, while Apollos 14-17 continued the astonishing feat of putting human beings on the surface of moon until 1972, after which the planned missions of Apollos 18-20 were scrapped due to waning public interest in the program. Instead, Apollo 18 became the famous Apollo-Soyuz photo op of 1975 (which I clearly remember watching from my aunt’s Scarborough basement); Apollos 19-20 were pressed into the makeshift Skylab program. That’s the official story, and we have no reason to doubt this history…. or do we? Earlier this year, a man claiming to be William Rutledge, a retired air force specialist in “foreign technologies”, uploaded some videos to YouTube, claiming them to be of classified unofficial voyages to the moon. According to this alternate history, in 1971 Apollo 15 photographed a crashed alien spacecraft on the dark side of the moon. You can supposedly see the cigar-shaped object jutting from a crater in the central part of this official panoramic photo. As mentioned, “Rutledge” uploaded to YouTube a series of videos supposedly taken during this secret mission. You can access them here and here. In fact, look at all of his videos by clicking here. These videos are clearly fakes. But they are extraordinary fakes. If someone really wanted to believe, then these films are good fuel for that belief. 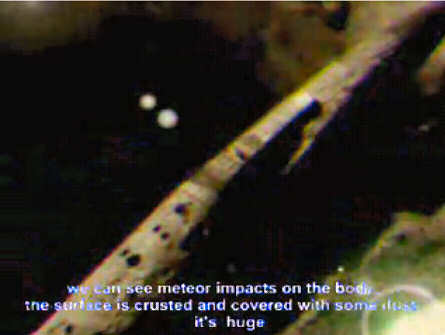 Rutledge’s claims have sparked a frenzy throughout the so-called UFO community. Website are ablaze with discussions of his videos, including attempts to debunk them, such as this one. Meanwhile, some kids took 10 minutes to create their own Apollo 20 hoax footage. What no one has properly asked is why “Rutledge” writes with such a thick French accent. In both the captions of his videos and in this email interview, “Rutledge” makes frequent grammatical mistakes common to Francophones, such as writing “milliard” instead of “million”. What American astronaut/scientist does that, regardless of how many years he claims to have been living in Francophone Rwanda? Thus, it comes as no surprise to me that some are claiming that “Rutledge” is in fact French video artist Thierry Speth. 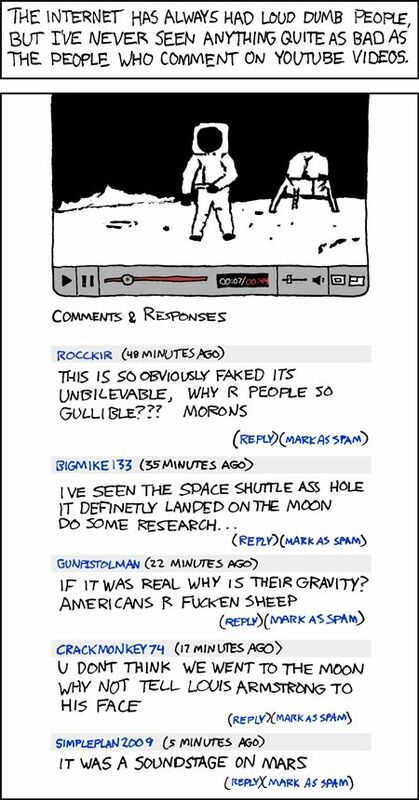 What’s doubly interesting is that with all the nutjob conspiracy theorists lining up to claim that the entire Apollo program was a hoax, and that men never went to the moon, none of these moonbats has yet to say the same thing about the obvious falsity that is the Apollo 20 footage. It’s a weird, wonderful world we live in, folks.